YouTube has introduced a new income model to the YouTube Partner programme to support partner channels with a new way to generate income from their creativity. As YouTube describes it provides “new ways to support great content”. Once a user subscribes from a computer, they are able to watch paid channels on their computer, phone, tablet and TV. In the coming weeks the option to subscribe will be available from more devices. An important addition considering 25% of global YouTube views come from mobile devices. Subscription fees starting at $0.99 per month and includes a 14-day free trial. In the coming weeks this feature will be rolled out to all partner channels as a self-service which will provide more details about the possibilities partners have to customize the subscription. Competing with Hulu, Netflix and Amazon? The introduction of paid channels seems a direct attempt to compete over eyeballs with professional content channels like Netflix, Hula and Amazon and even takes on TV when it comes to advertising budgets. 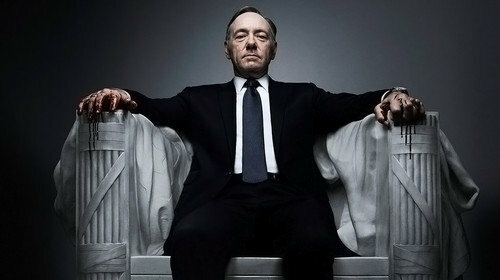 Netflix based its complete business model on monthly subscriptions ($7,99 a month) and is now investing heavily in original content with the production of Lillyhamer, House of Cards, Arrested Development and Hemlock Grove. A logical but important move to keep the over 30 million users attached, facing growing competition over content distribution deals. Hulu’s model is similar to YouTube by providing a combination of both subscription (Hulu Plus for $7,99 a month) and advertisement. With over 4 million users Hulu is still growing and with the backing of Disney, News Corp. and Comcast the company has a close connection to TV and offers show already known to the public. With paid channels YouTube offers new monetizing options for its partners but this has to result in quality content that users will pay a subscription fee for. Most of the top channels on YouTube feature personalities with weekly updated 5-10 minute shows or official channels from artists or TV shows. One of the few channels that produces actual series is Machinima on the MachinimaPrime channel with for example Halo 4: Forward Unto Dawn and Bite Me. Although the subscription model does offer new opportunities for YouTube channels, it’s a big change for viewers who are used to advertisements and pre-roll videos but appreciate YouTube for it’s diverse offer of video’s. Most users will follow certain channels but are just as quickly distracted to other recommendations on different channels. The subscription models places to much emphasis on individual channels. For users to pay 1 to 4 dollar to subscribe to a channels requires a lot more quality content. 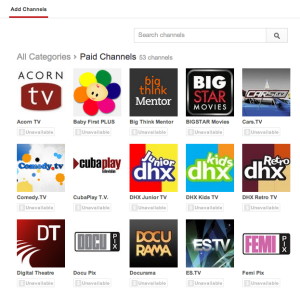 Compared to Netflix and Hulu none of the channels on YouTube can provide quality for money. YouTube should invest more in content curation (combining channels and video’s) to increase the value and quality of subscription packages. Improve the the promotion of paid channels to attract a (new) audiences since a channel has to reach a certain audience before it’s valuable to enable the subscription service. Provide flexible subscription options and payments methods including micro payments, switching subscriptions and allowing video’s to become public after a certain amount of hours/days. So what does it solve for YouTube users? It does provide channels owners a new form to generate income and reading the comments on articles related to YouTube’s subscription upgrade, many subscribers are willing to pay a small fee to see there favorite YouTube shows. However, for most of the YouTube users the quality of the content is not steady enough to subscribe to a single channel. I don’t expect the subscription fee to generate enough income for niche markets. And since professional content is already available per purchase on YouTube or Google Play it will have hard time convincing the average YouTube viewer to pay for the content.